Our Fastest Stolen Vehicle Recovery - 19 Minutes. Go GPS has had out fastest vehicle recovery so far at 19 minutes. Having your vehicle stolen is never a nice feeling, especially when its your work van filled with all your equipment. 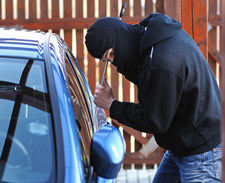 Unfortunately damage to the vehicle had occurred from the thieves, but the thieves did not have enough time to take any equipment, considering that our customer is in the security industry, denying the thief access to his equipment is a major bonus not just for our customer but everyone. Having access to his equipment would have been disastrous for anyone with home and business security, in fact anyone that uses a lock.